More than a fifth of commuters travelling to and from the Sheffield Business Park are now ditching lone-driving and opting instead to walk, cycle, and car-share or catch public transport to and from work, according to the response from the latest Travel Plan Survey which has informed the Framework Travel Plan report. The rapidly expanding South Yorkshire site which is home to the UK’s first state of the art manufacturing facility, Factory 2050, part of the University of Sheffield’s Advanced Manufacturing Campus, houses in excess of 2000 people; with tenants including ITM Power, Fulcrum, SIG, Primetals Technologies Ltd, Stanley Black and Decker and the Institute of Mechanical Engineers (Argyll Ruane Ltd). 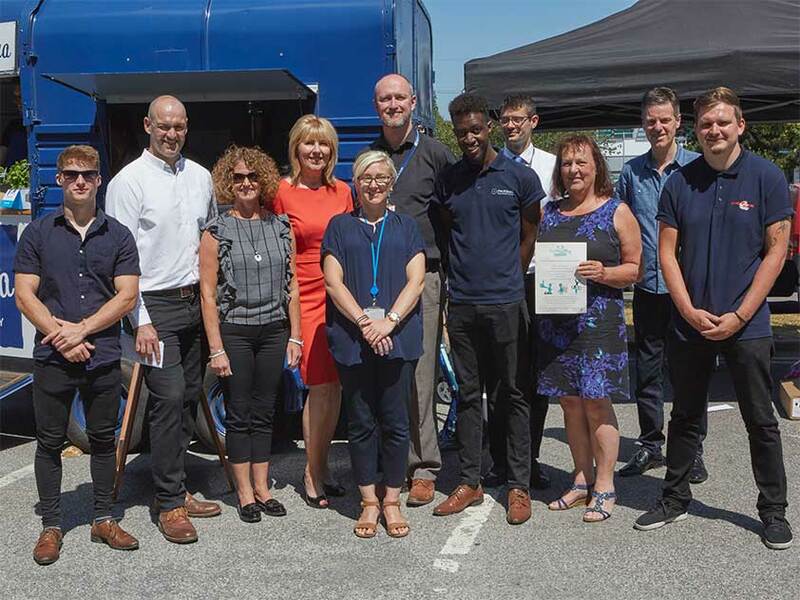 The findings of the latest report were revealed at the Business Park’s fourth annual Sustainable Travel Day; which broke records as the most well attended event yet and celebrated its long-standing commitment to cutting commuters’ emissions. Jointly organised by Sheffield Business Park Management team and the University of Sheffield Car Parking and Sustainable Travel Manager and supported by a number of exhibitors including Tesla, ITM Power and Fulcrum, more than 150 visitors took advantage of the opportunity to test drive electric vehicles as well as seek advice about local public transport and bike hire options. Occupiers of the Park were also able to bring their bicycle in for a free safety check, and anyone who was able to demonstrate that they commuted using a sustainable transport method were able to claim a free pizza. Sheffield Business Park manager, Dawn Kennedy-Burns added: “Since launching the Framework Travel Plan in 2004 we have seen an increase in the number of employees travelling to and from work sustainably. The expanding business park has had a Framework Travel Plan in place since 2004. Monitoring surveys are carried out by sustainable transport planning experts, TPS Transport Consultants, every two years to capture a picture of how staff are choosing to travel to the Park, why and what might incentivise them to travel more sustainably. 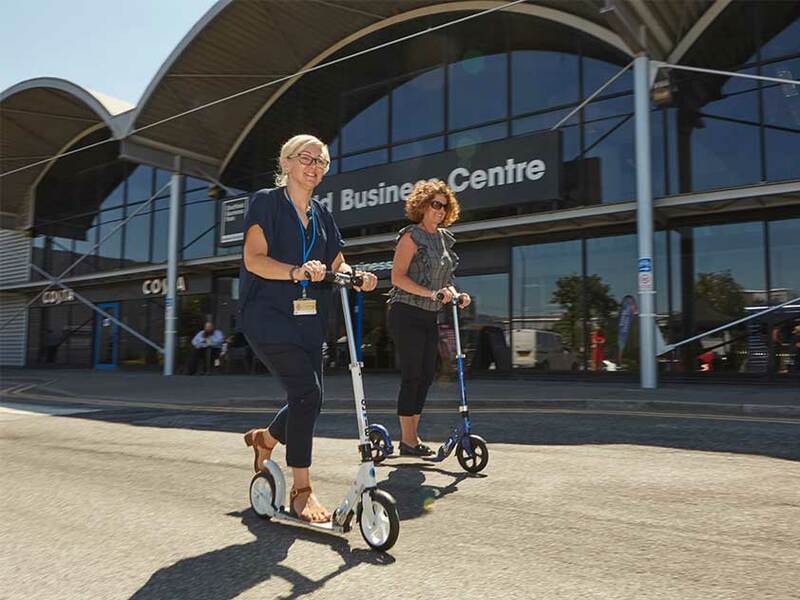 21% of 2000 employees based at Sheffield Business Park now use a more sustainable method of getting to work. Around 160 people opt to car share on their daily commute. 200 employees currently travel by public transport. Around 60 people walk or cycle to work. Darren Hardwick, Car Parking and Sustainable Travel Manager at The University of Sheffield commented: “We wanted to work with the Sheffield Business Park Management Team to make staff aware of what sustainable travel options are available for commuting to the site, and the opportunities there are for business travel and fleet requirements. “Electric vehicles are ideal for logistics and passenger journeys around our multiple sites, with a better driver experience, less emissions and lower maintenance costs. The first electric pool car was introduced in 2014 and EV’s now make up 25% of the university fleet.